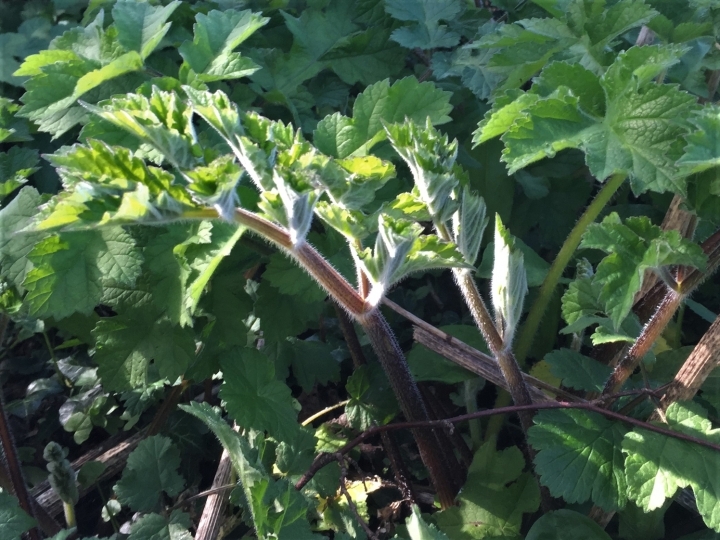 Hogweed in its young shoot stage, perfect for soups, stews or even better treated like asparagus and served with lemon and butter. 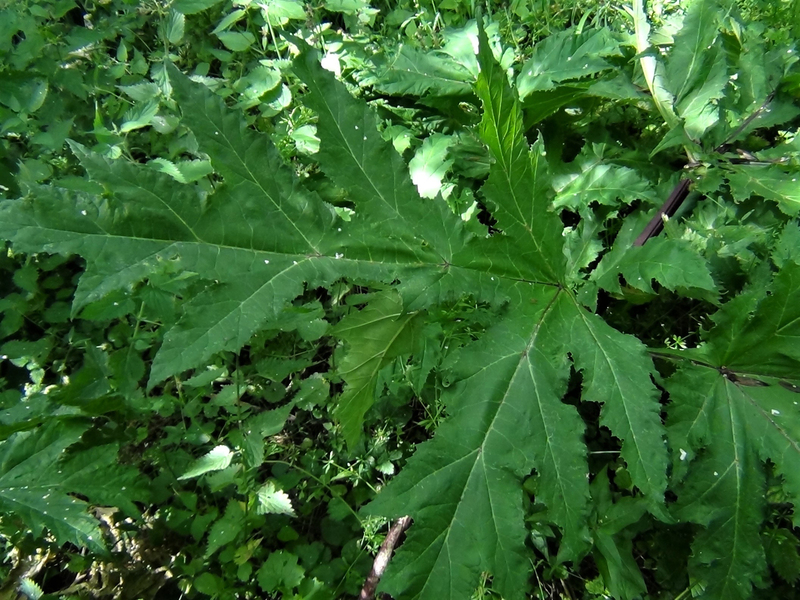 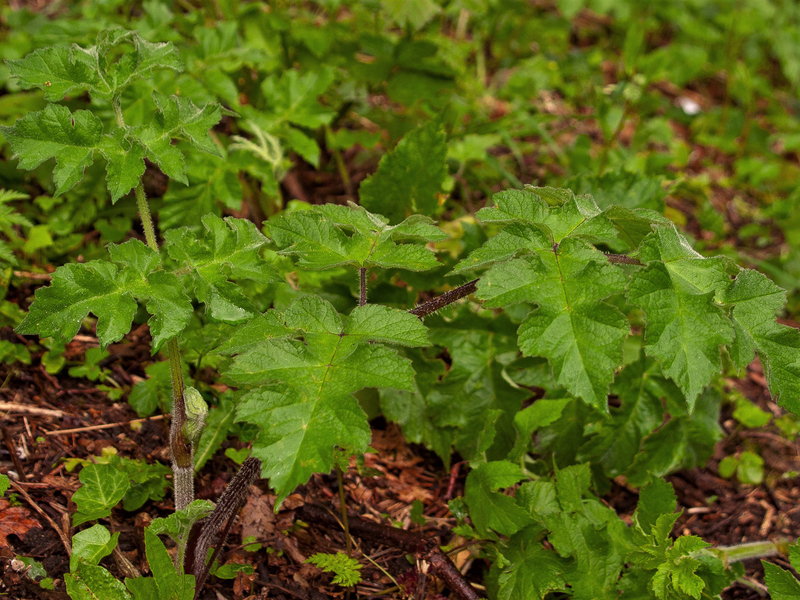 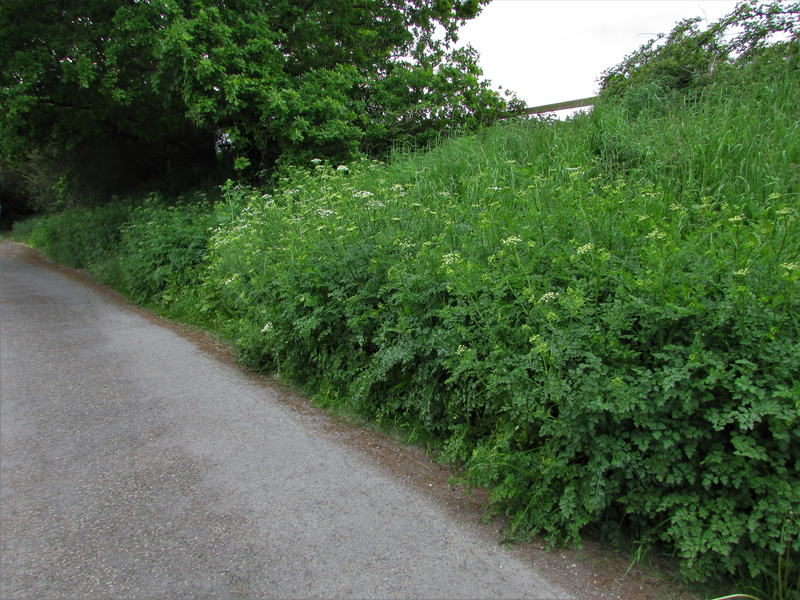 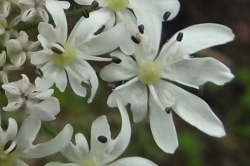 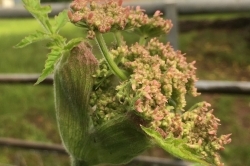 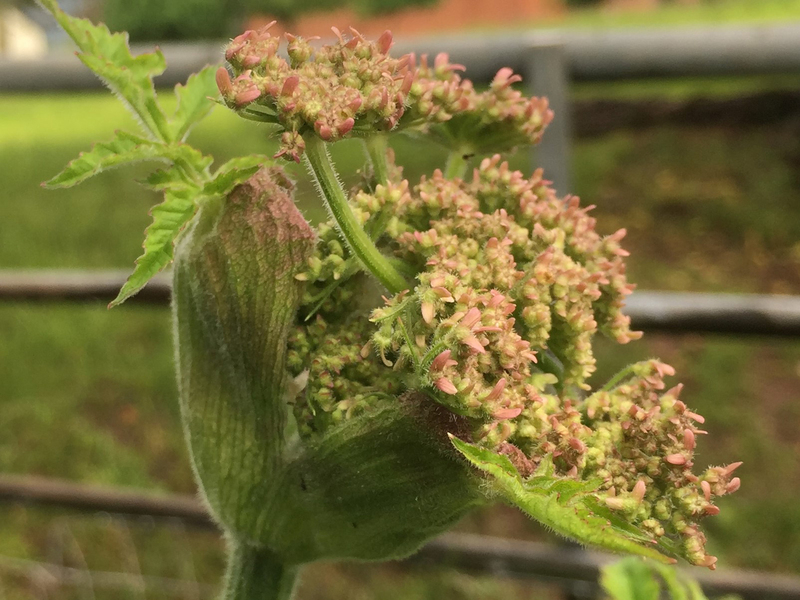 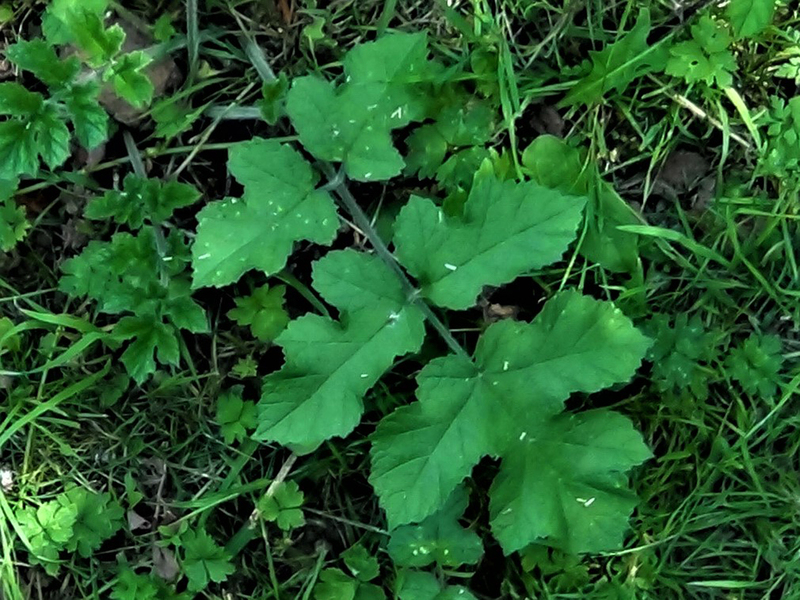 One of our favourite wild foods with three edible crops but because of the phototoxicity of Giant Hogweed, Heracleum mantegazzianum, people can be wary of this plant. 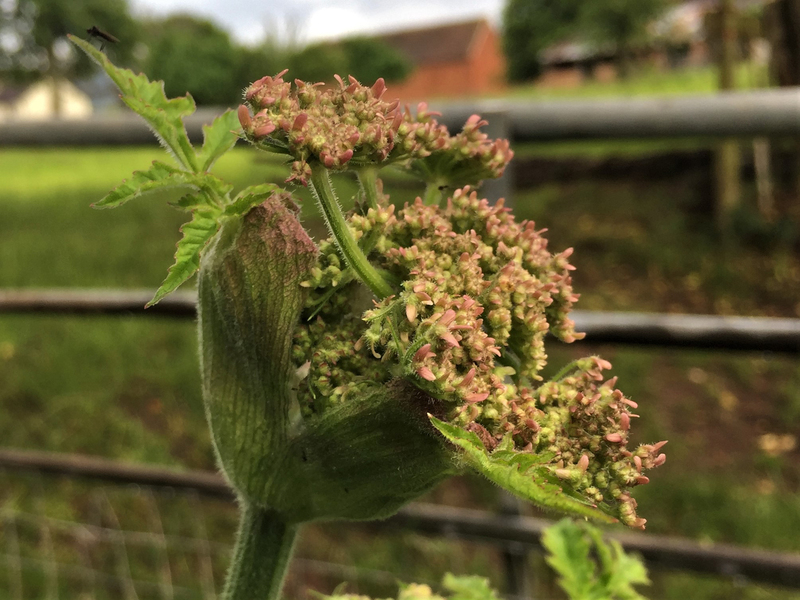 Starting tightly curled and pale green opening out into large dark green roughly lobed, matt leaves covered in tiny hairs. 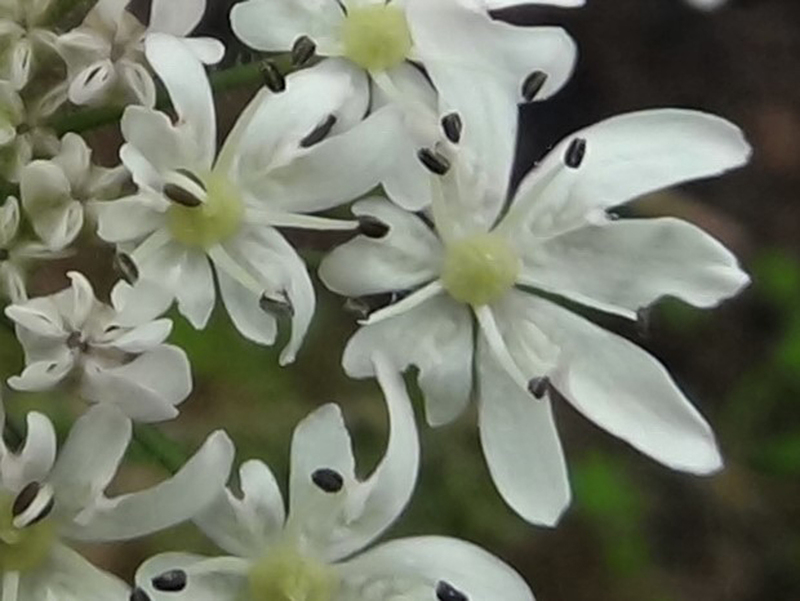 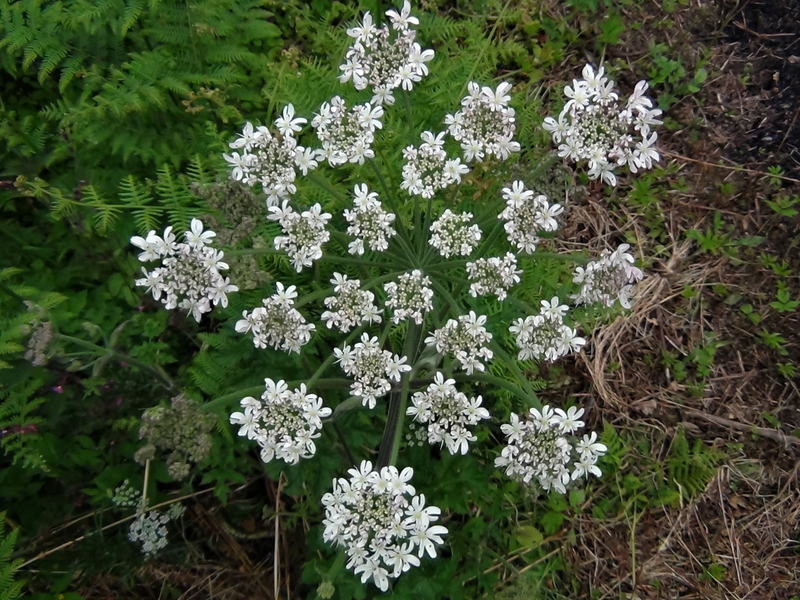 A sheathed bud at the base of a leaf opens out into a large white umbel made up of many tiny flowers. 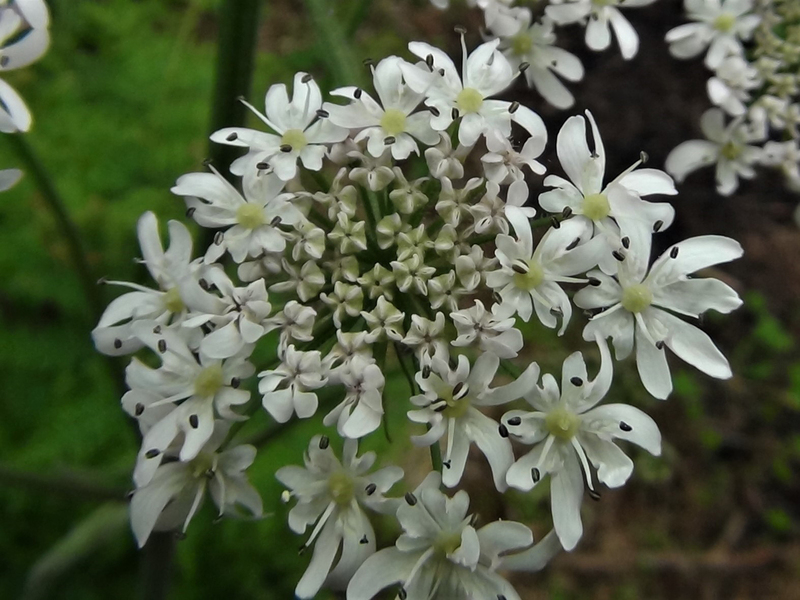 (Umbel being shaped like an umbrella). 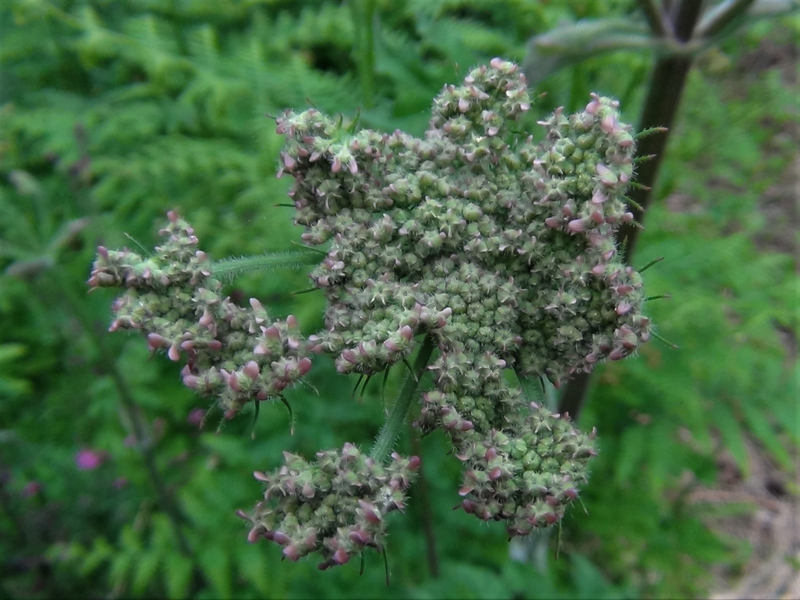 These are the unopened flowers at their best broccoli like stage. 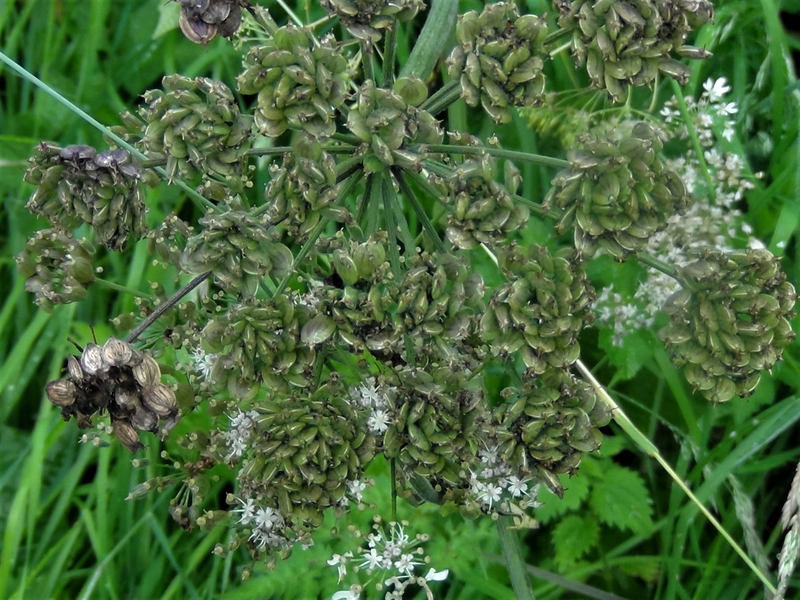 Small flat green discs with red markings growing in clusters on the umbels. 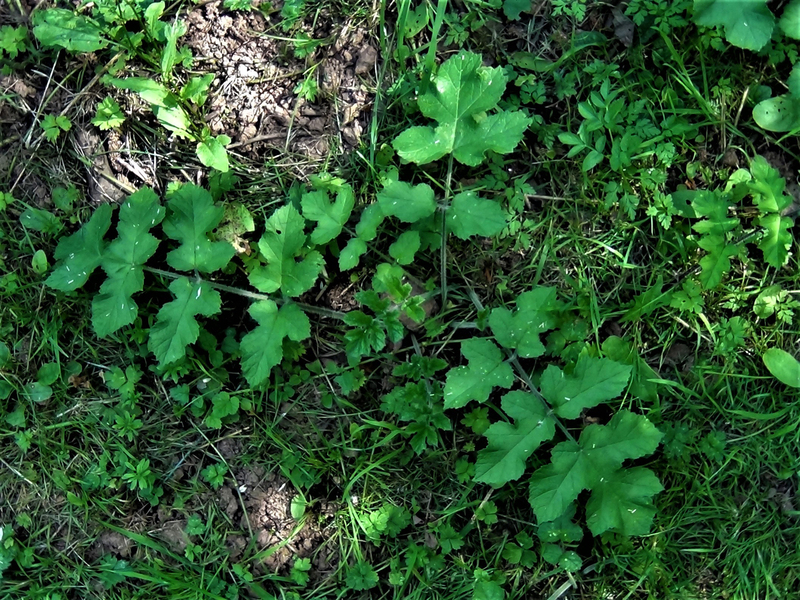 The seeds are still edible when mature and brown. 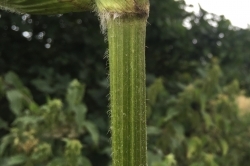 Green to dark red/brown/purple. 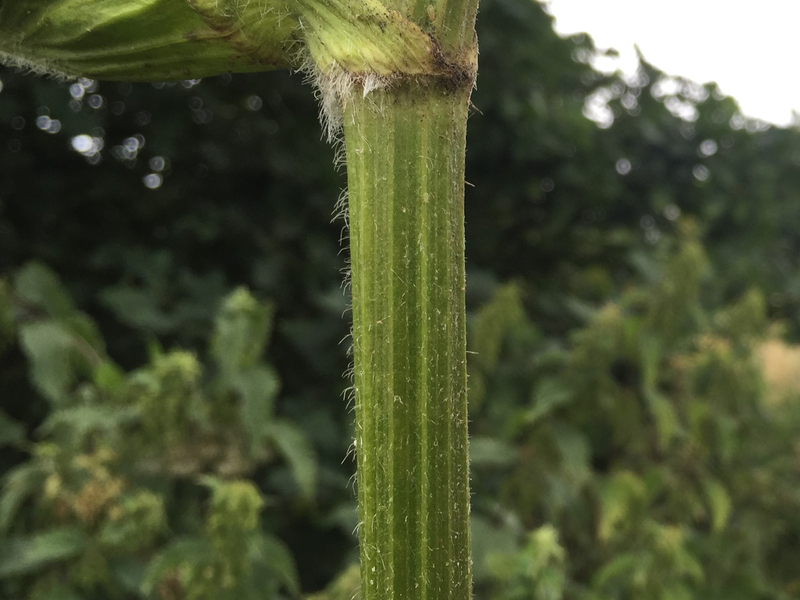 Fleshy, thick, hollow and covered in small hairs. 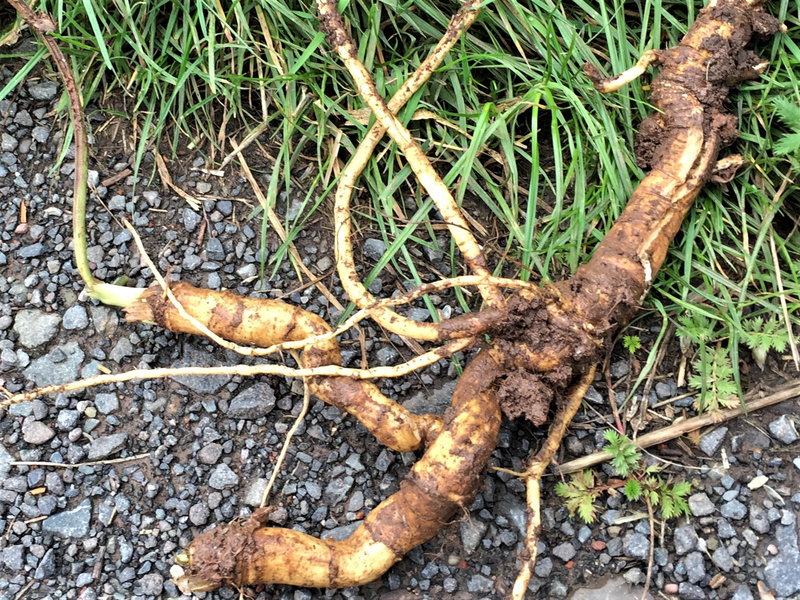 Sometimes thick and a bit parsnip like but more often thin, small and very branched. 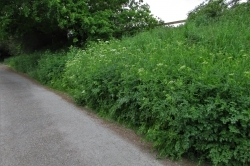 Wood edges, beside paths, roadside verges and many other environments. 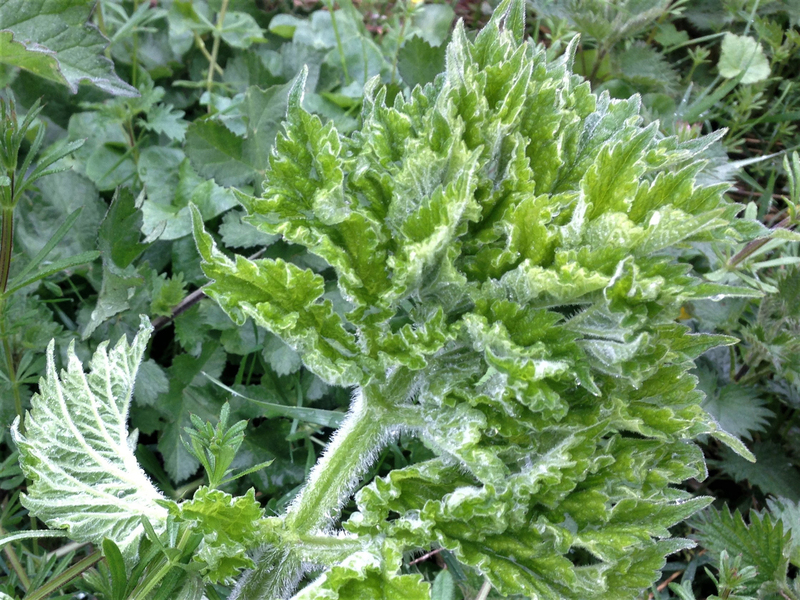 Giant Hogweed! 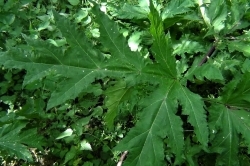 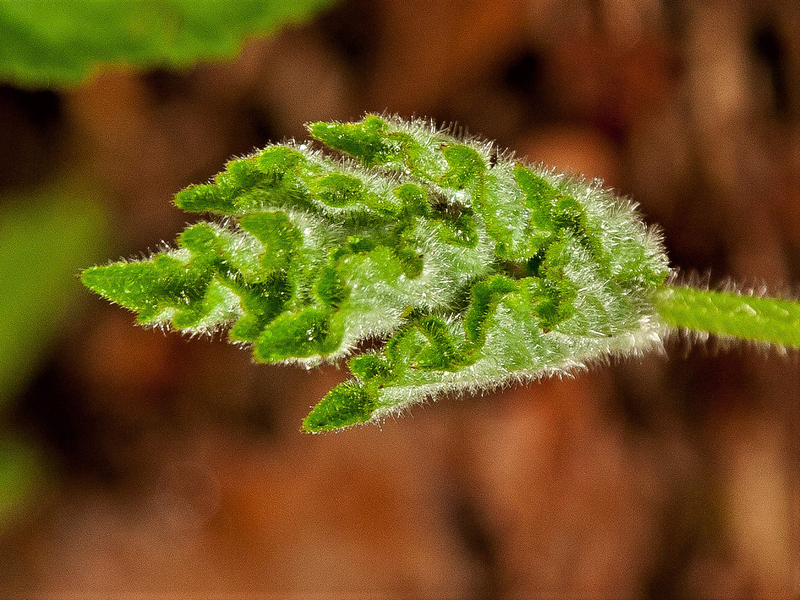 This is a very dangerous plant with phototoxic sap which will burn your skin extremely badly if exposed to the Sun. 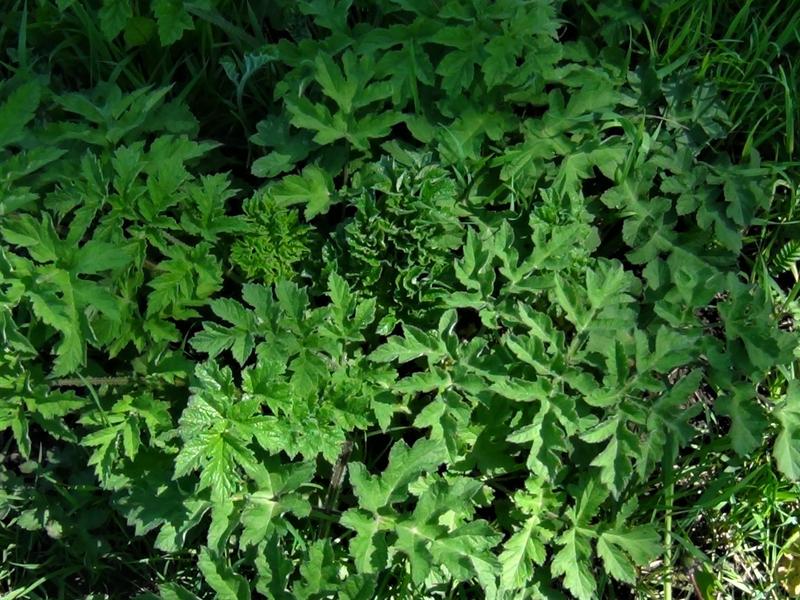 This is no idle warning, if you want to see how bad the burns can get a simple google search should do the trick. 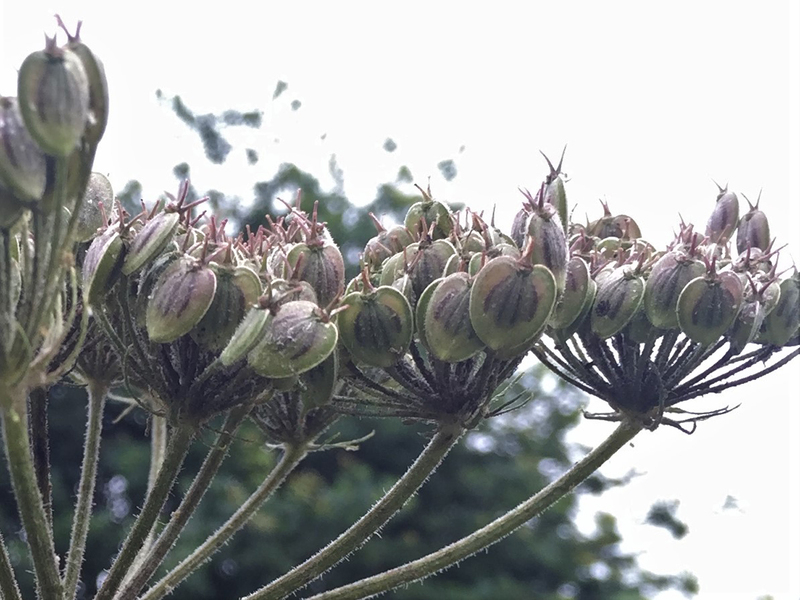 Giant hogweed, pictured, has slightly shinier leaves, more hair in a ring around the stem where the leaf joints are, and more flower stems, and is much larger when mature. 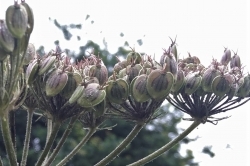 Giant hogweed gets to 4 to 5 metres tall, common hogweed is normally around 2 metres or less. 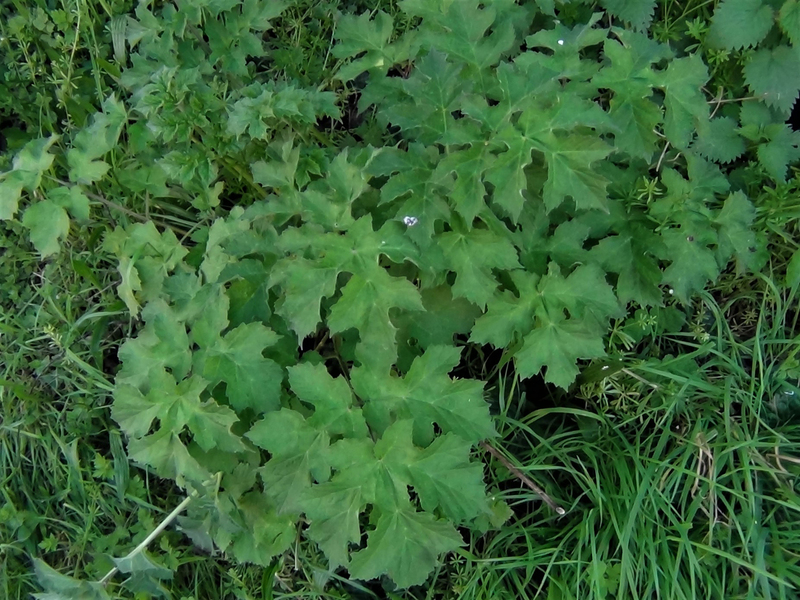 Cooked like spinach hogweed has a flavour of its own. 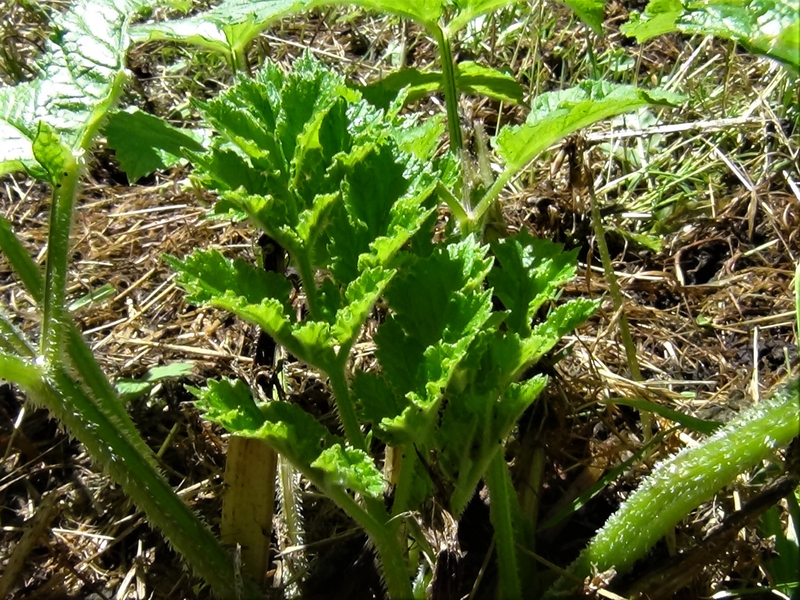 One of the best tasting of the wild foods available in the UK. 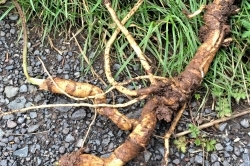 The shoots are best blanched and cooked in butter, the leaves can be used when very young or as a flavouring for soups and stews, the flower buds can be used like broccoli, the seeds when fresh have a cardamom/coriander taste, the older seeds are a direct replacement for cardamom and the roots can be used like parsnips but must be boiled well. 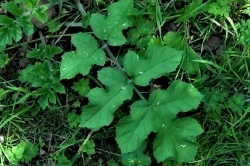 Only the young leaves should be eaten before they open out fully. 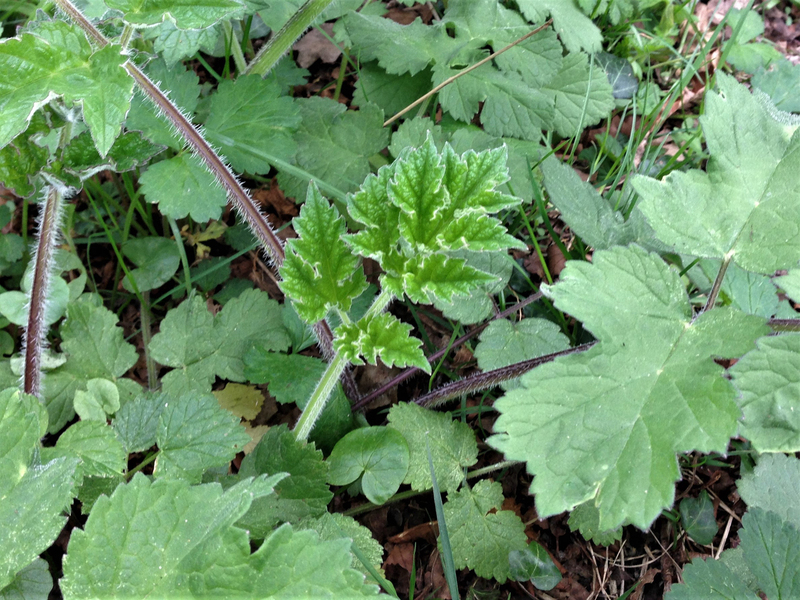 Gloves should be worn as a few people can find they get an allergic skin reaction when in regular contact with the sap rather like Giant Hogweed but nowhere near as severe. 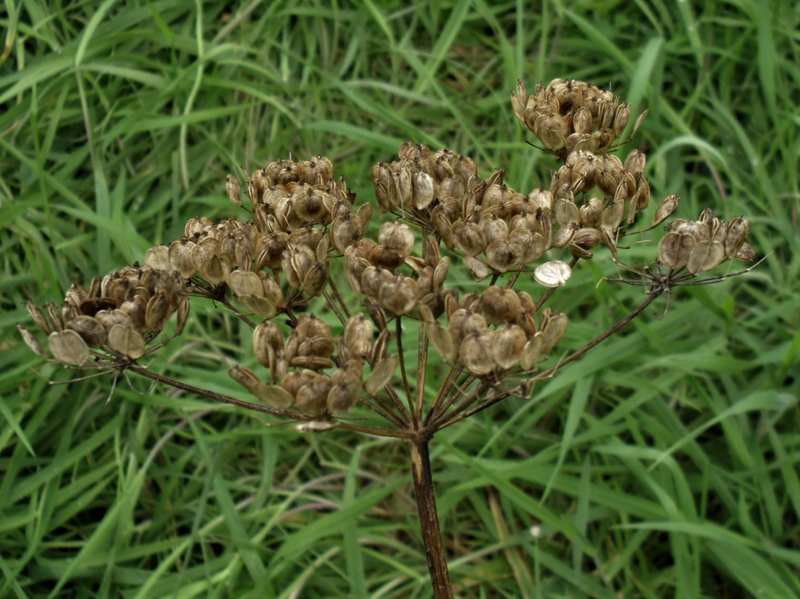 Hogweed oil was used as a sedative and expectorant.